The Compassionate-Leadership.org website recently published ‘Life Lessons: 7 Tips from My Father,’ written by Vernon’s son on the lessons Vernon taught his children. 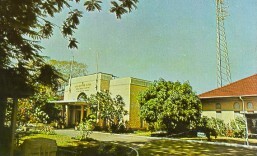 Radio Ceylon, (Sri Lanka Broadcasting Corporation), has a historic record library – possibly the oldest record library of a radio station in Asia. Ernest Corea, one of Sri Lanka’s distinguished newspaper editors and accomplished diplomats passed away yesterday in USA after a long bout with diabetes. He was editor of The Daily News and Sunday Observer and later headed the embassies in Canada and USA. He was awarded the Deshabandu Class 1 National Day honour for meritorious diplomatic service. He was a stout defender of the freedom of press. News is sacred, comment is free, was their credo. Ernest’s dedication to that dictum is etched in our collective memories. Every new batch of would be journalists that Esmond hired every year, went through the grueling drill of having to master the norms of the trade. I was assigned to cover the election campaign of Mrs. Sirima Bandaranaike in 1970 and the assignment took me to all parts of the country. Ernest was a source of strength whenever I called from some outstation town. He would say be accurate at all times. I remember the day after Election Day, I called in after interviewing the winning candidate Mrs. Bandaranaike at Horogolla. Good show—get back home safely—were his words. Ernest was born in 1932 to the Reverend Canon Ivan Corea and Ouida Corea. He spent his early life in Borella, a suburb of Colombo. He was educated at Royal College, Colombo and the University of Ceylon and later served with the United Nations in Washington DC and in the Congo (Zaire). He joined the editorial staff of the Associated Newspapers of Ceylon Ltd. (Lake House) direct from university, eventually becoming Editor of the Ceylon Daily News from 1966-1970 and the Ceylon Observer from 1970-1971. Immediately before holding those positions, he was Chief Administrative Officer of the Editorial Department at Lake House. Ernest was Features Editor, foreign affairs specialist, and editorial writer of the Straits Times of Singapore. He later served as Director of the Publications Division at the International Development Research Centre (IDRC) in Ottawa, Canada. Subsequently, he was the founding Director of the IDRC’s Cooperative (North-South) Research Programs Division. President J. R. Jayewardene in 1978 appointed Ernest as High Commissioner to Canada and few years later he was Ambassador to the United States of America, Cuba and Mexico. He negotiated several deals in ensuring external support for the country’s development programs. He was responsible for organizing the first, and up to now, only official state visit of a President of Sri Lanka to the US, at the invitation of President Ronald Reagan in 1984–all paid trip through our USA. JR presented a baby elephant to Reagan during that visit. After leaving diplomatic service, he worked for the World Bank’s Secretariat of the Consultative Group on International Agricultural Research (CGIAR) and after retirement, as a Senior Consultant, when he co-authored Revolutionizing the Evolution of the CGIAR with CGIAR Director Francisco Reifschneider and Chair Ian Johnson. He published two books: ‘Non-Alignment – the dynamics of a movement,’ and ‘North-South: Beyond Dialogue’. He was Chairman of the Commonwealth Select Committee on the Media and Development, and was a life-member of the Asia Society’s advisory group in Washington DC. He returned to journalism after retirement, serving as Global Editor of InDepth NewsAnalysis (IDN) and a member of its editorial board as well as a columnist and Co-editor of IDN’s current affairs magazine, Global Perspectives. During this period he also served President of the Media Task Force of the Berlin-based Global Co-operation Council. Ernest is survived by his wife Indra and sons Lester and Andy and grandchildren Carl, Sophie, Wilson and Percy. He was preceded in death by his brother Vernon Corea and Lester’s late-wife Doris. Note: My former Lake House colleague Thalif Deen provided some of the data mentioned here. I got to know late Corea thanks to the introduction given by our permanent man (I say permanent because the Sri Lankan government Reps come and go but, he continues) seated inside a glass house in New York, the evergreen Thalif Deen. Like Thalif, Ernest became an inspiration to me. He continuously sent me emails giving me ideas to work on. On two occasions, Ernest Corea sent me books, one was on development journalism and another book he had purchased from the World Bank Bookshop in Washington. His emails were full of encouragement and guidance. I wonder how many other Daily News Editors had that privilege. Ernest Corea wrote to me when I was wronged (I know Thalif use to brief him) by the Media Minister at the time, Anura Yapa. There were times when he called me and told me to continue with the good work and to be fearless and careful. It was easy for me to get in touch with Ernest from Toronto and I informed him that things weren’t easy and its much different from his times in Canada. He both knew about the clashes with one of my superiors and that it wasn’t possible for me to maintain a low key in Canada with the onslaught by the LTTE and its rump in Toronto during the height of terrorism and the well oiled propaganda machine. He understood it and appreciated what I had to do. I am sure he was better briefed by that gentleman diplomat HMGS Palihakkara, who was our Permanent Representative to the United Nation in New York at the time holding fort for Sri Lanka, against all odds. I had the privilege of meeting Ernest Corea and his wife Indra when I was posted to New York as the Deputy Permanent Representative. They hosted me to lunch at a place the name of which I cannot remember now. It was a great honour for me to have met the humble and unassuming former Editor turned diplomat. We had a long discussion. It was very informative. I told Ernest though I wasn’t of his calibre I wanted to fashion myself like him as a former Editor of the Daily News turned diplomat. He smiled. Here was the man responsible for organising the first, and up to now, only state visit of a President of Sri Lanka (JR Jayewardene) to the United States as a special guest of President Ronald Reagan in 1984. What more and Frank Sinatra sang ‘My Way’ for the visiting Sri Lankan President. I think Ernest did it his way. I always had words of encouragement from Ernest Corea who was saddened by the turn of events. We exchanged a few emails thereafter, but we lost touch and it surely was my loss. I salute you, Sir. 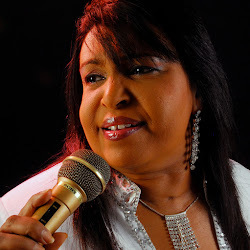 May you rest in peace! Ernest Corea, who passed away in the US last week, distinguished himself in two professions: journalism and diplomacy – even as he artfully deployed his journalistic skills to advance the country’s foreign policy in two western capitals. At Lake House, he served as Editor of the Daily News (1966-1970) and later Editor of the Ceylon Observer (1970-71), two of the most influential dailies of the 1960s and 70s. And after he left Lake House, he was Features Editor and Foreign Affairs columnist at the Straits Times in Singapore. 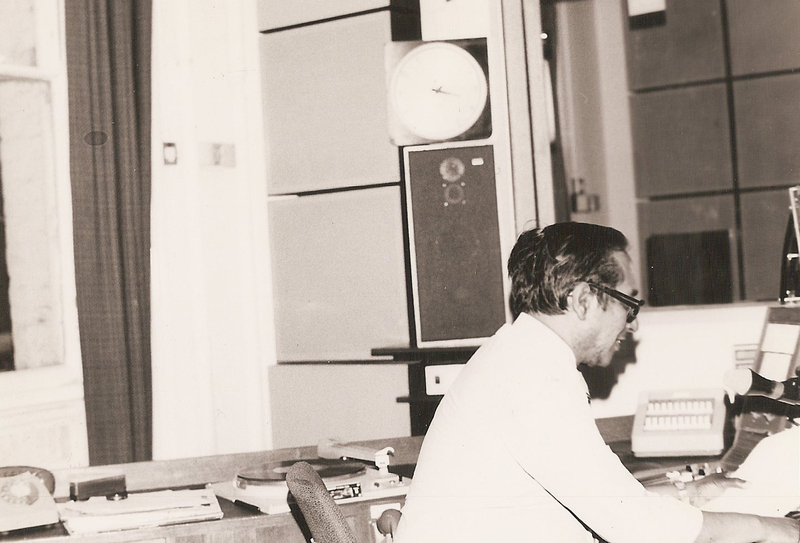 As part of a renowned journalistic triumvirate, Ernest followed in the heavy footsteps of two of his legendary predecessors: Tarzie Vittachi and Denzil Peiris. But Ernest went one step further – and ventured into the world of diplomacy. As Sri Lanka’s Ambassador to the United States in the 1980s, Ernest fought a relentless battle against a group of Tamil expatriates who were furiously lobbying US Senators and Congressmen to espouse the cause of a separate Tamil state in the north and the east. With a supreme command of the language – and a wordsmith in his own right – Ernest fast gained a reputation for his thorough professionalism on the job with his uncanny ability to talk to American officials in their own idiom, an A-plus in Washington’s inner circle. Ernest succeeded in convincing the US administration to host an official state visit to Washington DC in June 1984 by President J.R. Jayewardene, the only Sri Lanka political leader to be given that privilege. Quick with his devastating punchlines, Ernest was ever ready to provide headline-grabbing sound bites to news reporters. When Amnesty International rushed to judgment with a highly critical report on human rights violations in Sri Lanka after a hasty nine day probe, he took a broad swipe at the London-based human rights organization: “Even rabbits don’t produce that fast,” he said, triggering a headline in the Daily News. In July 1983, Ernest convinced the US State Department to disassociate itself from a resolution passed by the Massachusetts House of Representatives calling for the divestment and withdrawal of all public funds and pension revenues from American business organizations in Sri Lanka. When Ernest authored a publication titled “Beyond Conflict,” a group of London-based separatists released a vituperative 24-book response titled “Dear Sri Lanka’s Ambassador – Your Slip is Showing”. 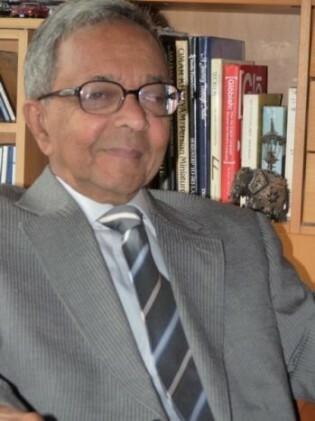 As a non-career diplomat, Ernest was Sri Lanka’s High Commissioner to Canada for three years and later Sri Lanka’s Ambassador to the United States for eight years, winding his career as a Senior Consultant at the Consultative Group on International Agricultural Research (CGIAR) Secretariat, an affiliate of the World Bank. Before his stint as High Commissioner in Canada, he was Director of the Publications Division of the International Development Research Centre (IDRC) in Ottawa. “Yes Ernest and I were in close contact,” admitted Dhanapala. “We did not always agree – especially on JR!” Ernest’s sense of humor and lively interest in global issues enabled him to maintain a warm empathy with the career diplomats in the Sri Lanka Foreign Service who remained his firmest friends when he retired in Washington D.C. after working for the World Bank on the development issues close to his heart, said Dhanapala, in a tribute to Ernest. Ernest had the distinction of being one of the first reporters from Lake House to cover the United Nations just after Sri Lanka (then Ceylon) joined the world body in December 1955. As he recounted his days at the UN back in 1956, he described himself as a young and relatively junior journalist on the Ceylon “Observer” assigned to cover Prime Minister S. W. R. D. Bandaranaike’s first and, tragically, last appearance at the United Nations. “For me as a journalist, he was always generous with practical advice and introductions when I asked about contacts in Sri Lanka or in international development through CGIAR. (He really taught me the complexities of Sri Lanka before I was ever there later as the civil war became more brutal, and I always was sympathetic to the place and its people in the years that followed, when I made many trips to the island. )” One anecdotal addition stands out, said Crossette, who was later UN Bureau Chief for the New York Times. “At some point, when I was an editor in New York, he arranged to bring Jayewardene to the New York Times for a lunch with editors to talk about Sri Lanka. When the cars arrived at the door of the Times, Jayewardene got out with a flourish, dressed in his customary national dress. Around Times Square, it would normally have been hard to attract attention, but people stopped in their tracks to watch him sweep into the building, with Ernest more or less leading the procession. “I remember that the president offered a baby elephant as a gift to the Times. If I recall correctly, someone said perhaps it would be better if we supported one at the elephant sanctuary in Sri Lanka. And the story ended there.” But JR did gift a baby elephant– but to President Reagan at a formal ceremony at the White House lawn. Since the elephant was the symbol of the ruling Republican Party headed by Reagan, the ceremony hit the front pages of virtually every newspaper in the US, a publicity gimmick which was another tribute, this time to Ernest Corea the journalist. Ernest is survived by his wife Indra and sons, Lester and Andy, and grandchildren Carl, Sophie, Wilson and Percy. He was preceded in death by his brother Vernon Corea and Lester’s late-wife Doris. Ernest Corea, one of Sri Lanka’s most distinguished journalists and diplomats, died peacefully at home on May 11, 2017 surrounded by family. He is survived by his wife Indra; sons, Lester and Andy (Michelle); and grandchildren, Carl, Sophie, Wilson and Percy. He was preceded in death by his brother, Vernon Corea and daughter-n-law, Lester’s wife, Doris. Mr. Corea was born in 1932 in Sri Lanka. He was educated at Royal College, Colombo and the University of Ceylon and later served with the United Nations in Washington DC and in the Congo (Zaire). He joined the editorial staff of the Associated Newspapers of Ceylon Ltd. (Lake House) direct from university, eventually becoming Editor of the Ceylon Daily News from 1966 to 1970 and the Ceylon Observer from 1970 to 1971. After leaving Sri Lanka, Mr. Corea was Features Editor, foreign affairs specialist, and editorial writer of the Straits Times of Singapore. He later served as Director of the Publications Division at the International Development Research Centre (IDRC) in Ottawa, Canada. He was appointed to the diplomatic service of the government of Sri Lanka by President J. R. Jayewardene in 1978 and served his country as High Commissioner to Canada and as Ambassador to the United States, Cuba and Mexico. He was responsible for organizing the first, and up to now, only state visit of a President of Sri Lanka to the US, at the invitation of President Ronald Reagan in 1984. After leaving diplomatic service, he worked for the World Bank’s Secretariat of the Consultative Group on International Agricultural Research (CGIAR). He returned to journalism after retirement, serving as Global Editor of InDepth NewsAnalysis (IDN) and a member of its editorial board as well as a columnist and Co-editor of IDN’s current affairs magazine, Global Perspectives. A memorial will be held during the summer at St. Christopher’s Episcopal Church in Springfield, Virginia. In lieu of flowers, the family requests donations be made to St. Christopher’s Episcopal Church, 6320 Hanover Avenue, Springfield, VA 22150 (designating the Hypothermia Prevention Program).A memorial will be held during the summer at St. Christopher’s Episcopal Church in Springfield, Virginia. In lieu of flowers, the family requests donations be made to St. Christopher’s Episcopal Church, 6320 Hanover Avenue, Springfield, VA 22150 (designating the Hypothermia Prevention Program). Ernest Corea passed away peacefully in Virginia in the United States of America, on the 11th of May. He was surrounded by his loved ones – my Aunt Indra and cousins Lester and Andy. They read his favorite psalm which was Psalm 23 written by King David – where he remembered the goodness of God following him all the days of his life and the blessed assurance that we will dwell in God’s house forever. This life was only the beginning because God had promised us eternal life through his son Jesus Christ. Uncle Ernest knew Jesus and he was in heaven. He had a deep and abiding faith in God. When my cousin Lester sent me a message to say Uncle Ernest was at peace, so many memories flooded back. Memories of childhood when we grew up in Colombo, Ceylon, now Sri Lanka. We lived in Maha Nuge Gardens in Colombo and he frequently visited us and brought with him an atmosphere of joy, laughter. He had bought a piano and decided to leave it in our lounge in Maha Nuge Gardens for a while. My father, Vernon Corea was his only brother and they were very close. They spent many evenings singing, with Dad playing the piano – a melody of old songs. We all joined in, Dad sometimes played his melodica, Vernon jr and I contributed with our St. Thomas’ Prep School recorders and Lester and Ouida were the percussion band. Mum joined in the singing in Maha Nuge Gardens. I have so many recollections of visiting Lake House in the 1960s – at the time Uncle Ernest was Editor-in-Chief of the Daily News in Colombo. There was such a sense of community like one big Lake House Family. We visited him in his office saying hello to George Mason, Phillip Cooray, Edward Arambawella, Errol de Silva and others. Uncle Ernest knew Reggie Fernando (the founder of Newslanka) very well as Reggie himself was an ex-Lake House man. Lake House journalists used to visit us in Maha Nuge Gardens – the conversations were riveting! Once I had a problem with one of my knees and a Lake House journalist, Thangarajah ( I called him “Uncle Thsnga”) said he knew of a herbal remedy and he brought with him some leaves, put them in hot water and placed them on my knee – it certainly helped. Vernon and Ernest were the sons of Reverend Canon Ivan Corea and Ouida Corea – my grandfather was Vicar of St. Luke’s Church, Borella. Uncle Ernest was born in Borella in 1932 – he was educated at Royal College Colombo where his maternal uncle, J.C.A Corea was the first Ceylonese Principal. Vernon and Ernest were inseparable as brothers they were very close. I remember the time when my grandfather passed away in 1968. Uncle Ernest was covering the Vietnam war for the Daily News. My father refused to bury his father without Uncle Ernest by his side, so we had a six day vigil in Maha Nuge Gardens, until the US military could locate my uncle in Vietnam and informed him that his father had died. He was flown back to Colombo for the funeral. His distinguished career included working for the United Nations in New York where he covered the first and last speech to the UN General Assembly by Prime Minister S.W.R.D. Bandaranaike. He did a stint with the United Nations in the Congo and when he returned to Ceylon he joined Lake House. 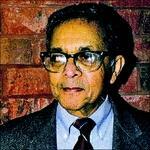 Edmond Wickramasinghe appointed him Assistant Editor of the Daily News. He was soon made Editor-in-Chief of the Daily News. He was also Editor of the Ceylon Observer for a year. After leaving Lake House he worked for the Straits Times of Singapore as Foreign Editor and Director of the IDRC in Canada. President J.R Jayawardene appointed him Sri Lanka’s High Commissioner in Canada and thereafter Ambassador in the United States – running concurrently as Ambassador to Cuba and Mexico. When he left the diplomatic world he joined the World Bank for many years until his retirement. It was ex- Lake House man Thalif Deen who was a senior Editor of a news service in New York who brought him out of retirement and he started writing again. I think he really enjoyed this new lease of life as a writer. Uncle Ernest’s greatest diplomatic triumph was to secure the first and to date the only State Visit of a President of Sri Lanka to the United States of America when US President Ronald Reagan invited President J.R.Jayewardene to the Rose Garden in the White House. He also secured international coverage for the visit which included Sri Lanka’s gift of a baby elephant to President Reagan. The US President invited President J.R. Jayewardene’s favorite singer, Frank Sinatra who sang his hit “My Way” at the State Dinner at the White House. The State Visit was a huge success for Sri Lanka. Uncle Ernest and Aunty Indra got on very well with President Reagan and First Lady Nancy Reagan. The US Ambassador in Sri Lanka, Atul Keshap paid a wonderful tribute to Ernest Corea on hearing that he had passed away on the 11th of May. In the 1980s Commonwealth Secretary General Sonny Ramphal appointed him Chairman of a Commonwealth media committee and he frequently visited London, during that time. He also met up with members of the Royal College Old Boys Union in the U.K. His earliest visit to London was in 1960 when he was invited to speak on “Minorities in Ceylon”. Whenever he visited London he never failed to visit us in Essex. On one occasion the High Commissioner of Sri Lanka in the UK asked him to accompany him as his guest to the Lord Mayor’s Banquet, at Mansion House, in London. I am so thankful that our son Charin got to meet him and Uncle Ernest would always interact with him. And so I say farewell to a wonderful, kind, loving, caring and compassionate uncle – that was Ernest Corea the Man. A Memorial Service celebrating his life will take place on the 8th of July at his church in Virginia. The Washington Post has opened a book of condolence online on their Legacy.Com website.